It was the tweet which shook the market – and a demonstration that one company is so inextricably linked to the lithium-ion revolution that the slightest of pronouncements can make investors jump. In case you missed the news, there had been whispers on the market that Samsung would be a supplier for Tesla’s Model 3 small car – supplying the batteries to power the cars. The whispers went on and on – until Tesla founder Elon Musk stepped in and put an end to the speculation with a single tweet. That single tweet was thought to be the reason why Samsung EDI’s shares plunged by 8% on the market – effectively wiping off $A777 of value from the Samsung subsidiary. Panasonic shares on the other hand went up 4% on the news. He later clarified to say that Samsung would provide the batteries for its powerwall, with a corresponding rebound of 4% for Samsung. While Tesla is building its gigafactory in Nevada to eventually supply its own batteries – it will still need batteries in the shorter-term. The episode throws up a key question: is one company, and one company solely, responsible for the buzz around lithium-ion batteries? The buzz is very, very real and has filtered all the way down to the junior resources space in Australia. It seems that every day there’s another unloved miner pivoting towards lithium or graphite exploration – all selling the potential of lithium-ion batteries as a way to sell the potential of both commodities. It’s getting so that the junior resources space’s favourite activity – RTO’ing into a tech play, is becoming almost passé. If you look at the issue rationally though – you’d realise that lithium-ion batteries are not the only thing expected to drive the graphite and lithium markets in coming years – although it certainly feels like it. 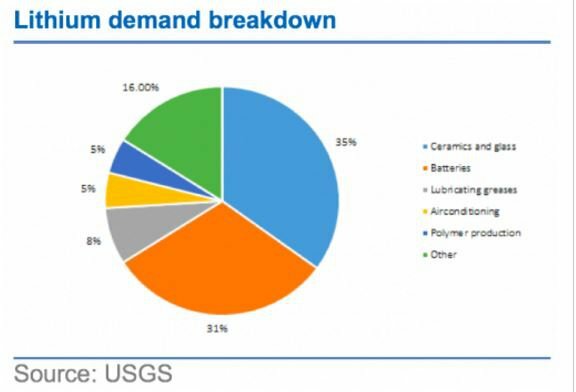 This is a static snapshot of what lithium is currently used for. Undoubtedly the absolute growth area here is in batteries – but there’s a whole 69% of the market that simply isn’t talked about – and that demand driver isn’t exactly going anywhere. Instead, the easier story to latch onto is the growth in lithium-ion battery demand, and the easier story within that to latch onto is the Tesla story. After all, it’s a great story. The Silicon Valley billionaire with a plan to save humanity and ambitions to basically be Iron Man? Undoubtedly Tesla has gotten the jump on the electric vehicle market – but again, Tesla isn’t the only game in town. 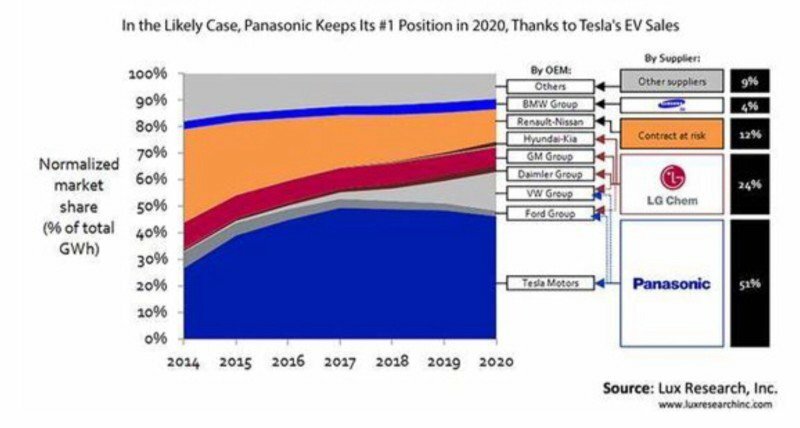 This CleanTechnica report taking a look at a Lux Research piece on potential battery suppliers into the EV market makes clear that it its pomp – Tesla is expected to have 45% of the market. Again – that’s absolutely huge, but not the only game in town. As previously explored on Finfeed, China is expected to be a huge driver of the electric vehicle revolution – and Telsa doesn’t have huge market penetration in that market. Investors though, have picked up on the almost incessant media coverage of Tesla and its billionaire founder as the vanguard and figurehead for the revolution. That’s why a single tweet from Elon Musk has the potential to send shockwaves through the market. 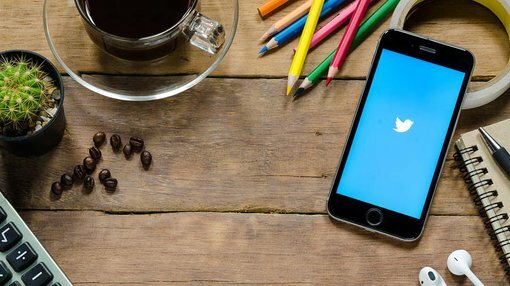 There is a whole other section of the potential market for both graphite and lithium, however, that isn’t even being talked about – let alone tweeted about.